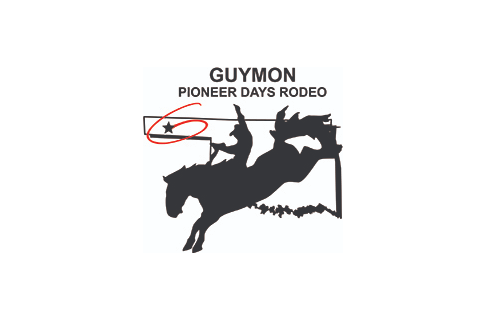 For the third time in his career, four-time world champion Rocky Patterson has won at least a share of the steer roping title at the Guymon Pioneer Days Rodeo. Back in his old stomping grounds near Oklahoma Panhandle State University, Patterson tied Tony Reina for the four-run aggregate championship by stopping he clock in a cumulative time of 49.6 seconds. Both men earned $3,637 for winning the average. But Patterson earned more money by placing in three go-rounds. In all, he pocketed just shy of $5,800 in No Man’s Land money. With that, he will add a third Pioneer Days trophy belt to his wardrobe, which matches quite well with stash of gold buckles. First round: 1. Tuf Cooper, 10.6 seconds, $1,990; 2. Brady Garten, 11.1, $1,647; 3. Ralph Williams, 11.2, $1,304; 4. Trenton Johnson, 11.5, $961; 5. Kenyon Burnes, 12.4, $618; 6. (tie) Scott Snedecor and Rocky Patterson, 12.5, $172 each. Second round: 1. Jarrett Blessing, 9.6 seconds, $1,990; 2. Vin Fisher Jr., 10.4, $1,647; 3. Tuf Cooper, 10.7, $1,304; 4. K.W. Lauer, 11.1, $961; 5. (tie) Landon McClaugherty and Mike Chase, 11.4, $480 each. Third round: 1. Brady Garten, 9.8 seconds, $1,990; 2. Rocky Patterson, 10.4, $1,647; 3. K.W. Lauer, 10.6, $1,304; 4. (tie) Chet Herren and Brent Lewis, 10.9, $789 each; 6. Will Gasperson, 11.1, $343. Fourth round: 1. Chet Herren, 10.0, $1,990; 2. Jim Locke, 10.2, $1,647; 3. Jarrett Blessing, 10.5, $1,304; 4. Will Gasperson, 10.6, $961; 5. Shay Good, 10.7, $618; 6. Rocky Patterson, 10.8, $343. Average: 1. (tie) Rocky Patterson and Tony Reina, 49.6 seconds on four runs, $3,637 each; 3. Trenton Johnson, 50.5, $2,608; 4. Jim Locke, 51.6, $1,921; 5. Dee Kyler Jr., 54.6, $1,325; 6. Trey Wallace, 58.7, $686.